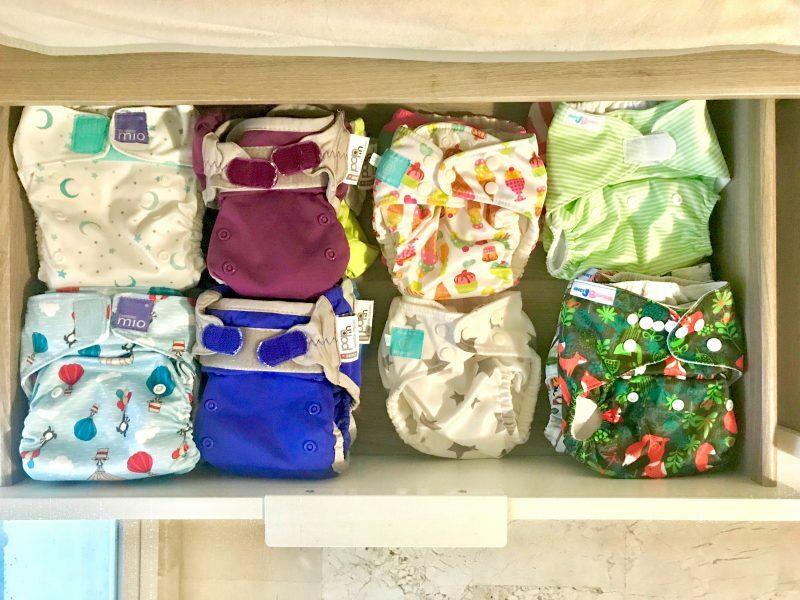 Thanks to the cloth nappy companies Charlie Banana, BambinoMio, Close Parent (and their Spanish distributor yobio.es), Juicy Bumbles and Little Lamb for supporting me during the switch, and sponsoring this blog post. I personally chose the brands I wanted to try and I wrote ONLY about the ones that I liked best and that I found the easiest to start with. A huge special thank you to my friend Ashely, to me the real nappy lady, for being my muse and a very patient advisor. In the past half a year, I started reflecting on how important it is that we all make an extra effort to keep our end of the deal when it comes to preserving our beautiful Earth. And I realised one thing in particular: if we hold on to the idea that the contribution of one person and one family won’t make a difference, the change will never happen. 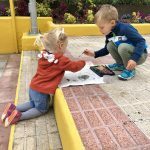 So in the past six months (better late than ever), we drastically reduced the amount of plastic in our life, we started differentiating, buying more natural products, preferring sustainable companies for products and clothes, and after three years of disposable nappies, we switched to cloth nappies and washable wipes for Emily. It’s crazy, I know! And yes, I’m the one who said, “I’ll never ever use cloth nappies because parenthood is already hard enough”. I hate doing laundry, I don’t do well with poop, my life is so busy with two toddlers, one dog, one (increasingly harder) job, and one (demanding) hobby. Why would I complicate it even more? Well, because it turns out cloth nappies don’t complicate it at all. When you understand how they work and get into a routine, it’s just like using disposables, with the ONLY difference that when you’re almost out of nappies, you don’t run to the grocery store, you wash. And it gets even easier: when you struggle, when you feel overwhelmed, even when you travel if needed, you can always count on disposables. It’s not all black and white. Let’s be flexible, mamas! That said, it does feel overwhelming to switch. There’s so much info out there, so much new terminology to learn, and so many nappy types and nappy companies that I genuinely felt like giving up before even starting. 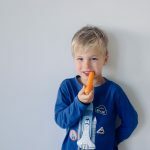 So here’s what I’m going to do for you today: I’ll tell you in details how I started, how many nappies I have, how many changes per day, where I store them, how I wash them, how I deal with poop (yep! 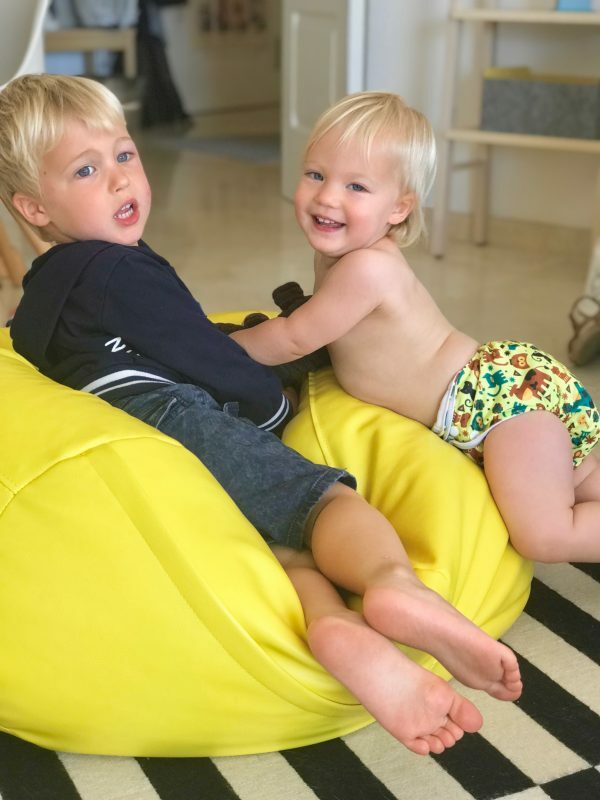 ), the brands I use… in the hope that at the end of this post, you’ll be left with a little thought running around your head “Cloth nappies are not as hard as I thought!”. If I had to redo it all over again, knowing what I know now, this is all I‘d need to start using cloth nappies full time, washing only twice a week (or every three days). I have 21 nappies, which is more than I need. With 15 nappies I can wash every three days, and that’s accounting for accidents. 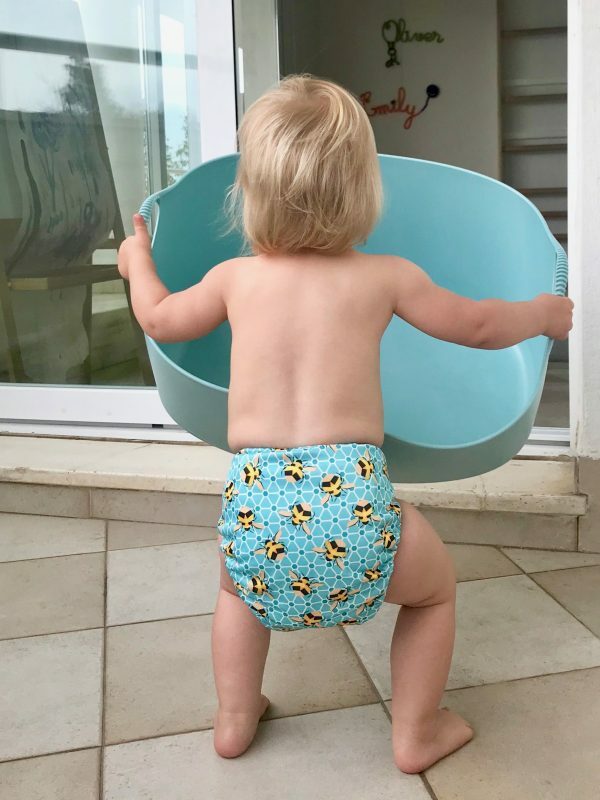 The number of nappies depends on the age of your baby, and on how much they pee/poo, but 15 nappies is a safe number to start at any age (and then buy more, if needed, or wash every two days). Emily is 16 months old and uses an average of four nappies per day: I change her after breakfast, after lunch, mid afternoon and for the night. I have 4 Charlie Banana, 6 BambinoMio, 5 Close Parent, 6 Juicy Bumbles, and 10 fleecy washable liners from Little Lamb that I use instead of the biodegradable disposable liners (I went 100% eco-friendly!). I really like having different brands, because once I know them, I can use my favourite one according to each situation. My advice is definitely not to stick to just one brand. 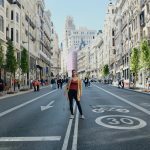 Here you find a post where I explain what I like about every brand that I chose and which one I use in every situation. I have a pack from Charlie Banana and a pack from Close Parent (that comes with their own little bag). If you use washable wipes, you need a spray bottle like the one your hairdresser uses to moisten your hair before cutting 😉 I keep one near the changing mat at home, and one in the nappy bag when I’m on the go. To take clean nappies with you when you’re on the go, and store dirty ones until you get home. I use the one from Charlie Banana and the one (with very convenient front pocket) from Juicy Bumbles. I use the pack from Bambino Mio (1 nappy bucket + 2 mesh bags). The mesh bag makes it so much easier, as I don’t need to handle dirty nappies when it’s time to wash them: I simply take the whole mesh bag filled with dirty nappies out of the bucket, and dump it in the laundry machine (open, so the nappies will come out in the wash). Having the right set-up and method is as important as having the right nappies. This is my set-up and my routine, based on a couple of months of trial and error. 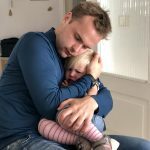 It’s very easy: by now even my husband knows what to do, and he’s totally on board and committed… although he does tend to let me deal with poop nappies ;-). I keep the nappy bucket, a spray bottle and washable wipes near the changing mat. 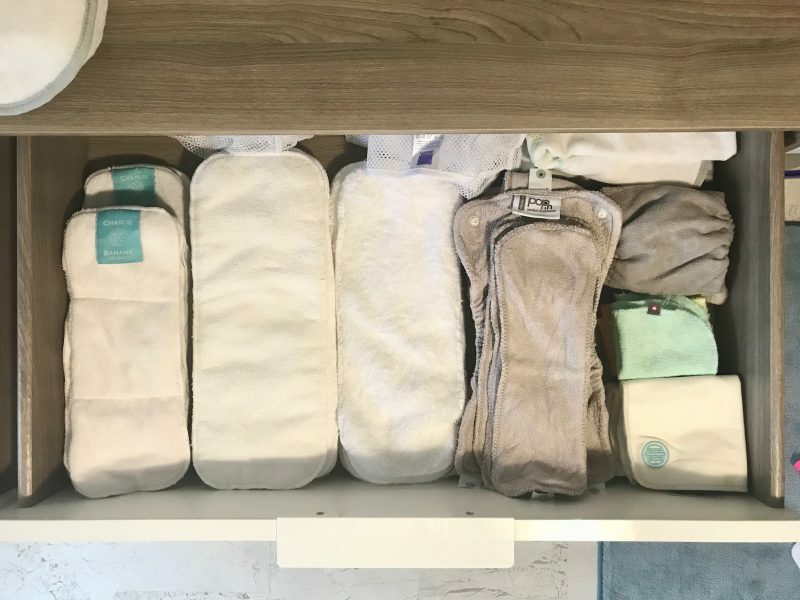 I dedicated two drawers to our cloth nappies: in one drawer I keep all the nappies and covers; in the other drawer all the “accessories” (liners, inserts, boosters, mesh bags and wipes). A little bit further you can read about the terminology that is convenient to know before starting cloth nappying. So far I did well with one bucket, but I noticed that when I rinse poop nappies in the bathroom I tend to leave them in the bidet for a while before carrying them to the bucket in the room, so I decided that I’m going to add an extra bucket in the bathroom. When it’s a pee nappy, I take it off, take the insert out, close the velcro (if it has it) so it won’t stick to everything in the washing machine, and put everything in the nappy bucket: it takes a few extra seconds to prep them, but it makes it easier when it’s time to hang them to dry. Solid poop: I put the nappy in the bucket, take the washable liner to the bathroom, shake it in the toilet so the poop drops, and put it in the bucket without even rinsing it. If you use biodegradable liners you can flush everything in toilet. Soft poop: I take everything to the bathroom, shake the nappy and liner to drop whatever poop falls off, then I take the shower head and rinse them with COLD water while holding them in (on top of) the toilet (my bathroom disposition allows for it, and I find it very convenient. You can buy a special shower head to instal on your toilet). Even if you have more nappies, I wouldn’t recommend leaving them in the bucket for more than three full days. For two reasons: 1. You might die every time you open the bucket as the ammonia smell from the pee is soooo strong! 2. The ammonia can actually damage the elastics. When it’s time to wash, take your mesh bag out of the bucket, put it in the washing machine (open, so the nappies will get out in the wash) and run a quick COLD cycle (15/30 mins) with no powder or detergent. Then add one or two scoops (tablespoons) of powder and run a long cotton cycle 40° (make sure all the water is drained before starting the long cycle). To understand and tweak the amount of powder you use, just keep in mind that when the nappies come out of the wash, they should smell like nothing, not like powder. Hang the nappies, use them, wash them, repeat. Don’t use bio detergents or softeners as they affect absorbency in the long term. Warm/hot water settles stains, which is why it’s important to use cold water when rinsing. Powder works better than liquid detergent to remove stains (in my experience). The sun will lift up any remaining stain. You’ve got your starter kit and you know more or less what to do with it (the rest you’ll learn as you go, don’t worry!). Still, the moment of ditching disposables and starting using cloth nappies (especially if all you know is the convenience of disposables) can be scary. I know it, because when I had everything set up, it still took me a couple of weeks to get started. So here’s a few thoughts, tips and advice in a nutshell based on my experience. I’m sure you’ll find them helpful (and hopefully somewhat reassuring). I made a quick calculation. I used to buy nappies from Lidl, which on average cost me about 400€/year. And that’s already half price compared to name brands! Using 20 cloth nappies costs about 150-250€, depending on the brand. In the year that we have left, we’ll spend half of what we would’ve using disposables. That’s already a good saving, but… get ready for this… The difference in amount of waste is staggering: 2,000+ disposables VS just 20 cloth nappies! From just one family. One baby. In one year. And one nappy is said to take +500 years to degrade, which means that for the next 500 years the nappies that we throw away today will pollute our lands and waters. 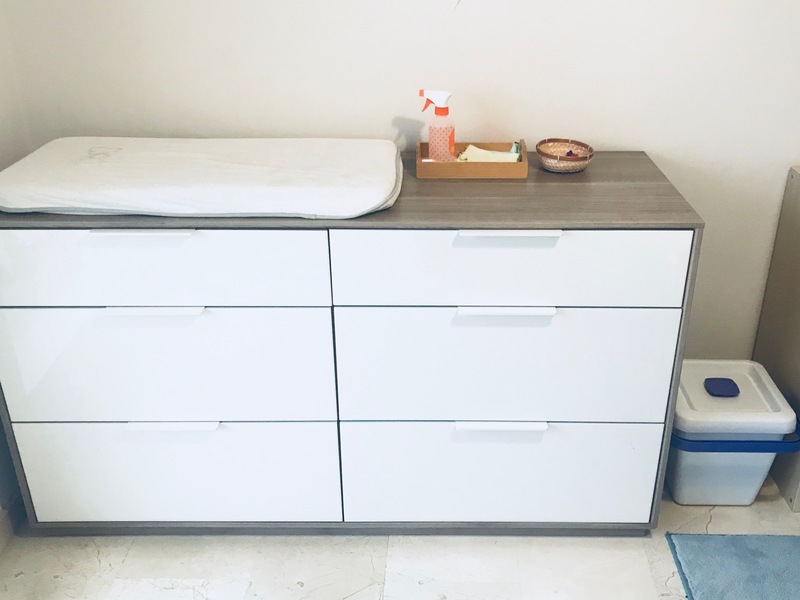 When you have the right amount of nappies and the right set-up, using cloth nappies is as easy as using disposables with the ONLY difference that you wash the nappies instead of throwing them away. I had a little emergency situation just recently when Emily had seven (!) days of a nasty diarrhoea, and I had to wash nappies every day because I simply couldn’t stand leaving them in the bucket: on the 6th day, tired and ill myself, I bought a small package of disposables and used them for two days. No big deal! 💡Know your limits and be kind to yourself. It’s not rocket science. Imagine you spill water on the kitchen counter. To dry it, you put a cloth on it, and if you see it’s not enough, you add another cloth. Cloth nappies actually work the same way: if you see that the nappy leaks after only 1/2 hours, add a booster next time. 💡 Bamboo boosters need a couple of washes before they reach maximum absorbency. I saw a big difference after three washes, and the nappy lasted longer with no leaks. 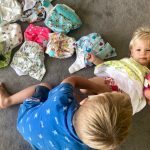 It’s all about trial and error, and getting to know your nappies. When I started using cloth nappies, I realised something: I buy 100% cotton (and possibly organic) clothes for Oliver and Emily, I feed them as much organic and natural food as I can, I use natural shower gel and creams on their skin, and yet for the first two years of their lives I have them wear disposable nappies, which are all made of chemicals and plastics. And they wear them 24/7. Do you see where I’m going? 💡It might be coincidental, but Emily had several bad nappy rashes while we were using disposables, and they all stopped when we started using cloth nappies. I started during the day, and kept using disposables at night as I was afraid of leaks and more washing-up. The opposite is actually easier: when you use enough boosters, the nappy will not leak (and I don’t really care how bulky the nappy is at night). My never-sleeping beauty still breastfeeds at night (and now also demands water), and we’ve never had a leak. If the nappy is full in the morning, I change it right away when we get up, so we avoid compression leaks when she sits to have breakfast or on the carpet to play. 💡At night is when the same nappy is in contact with the delicate skin of your baby for longer, so using a cloth nappy at night makes even more sense. If you’re doing nights, but you’re still afraid of the daily action, add just one nappy a day for one week. After three days, wash, dry, and go again. I think you’ll see that using cloth nappies is easier than you think. 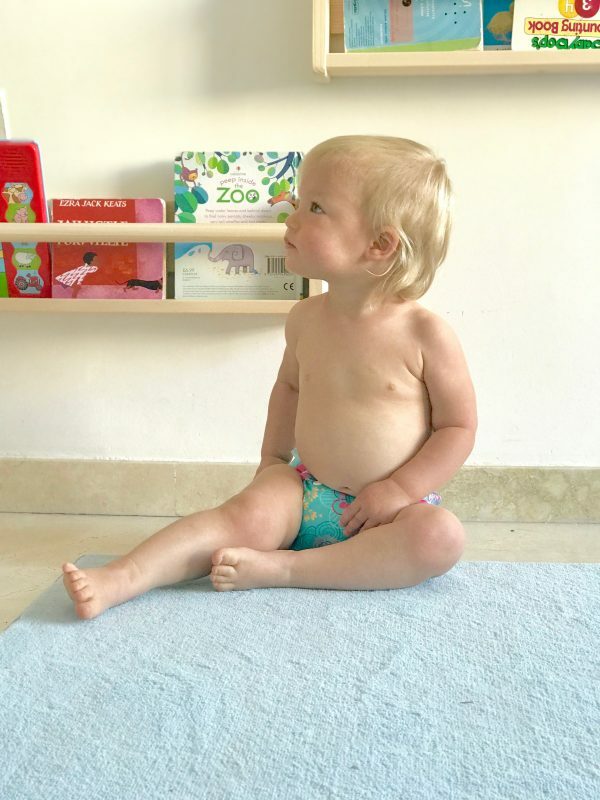 I liked what Silvia from yobio.es told me: even just one nappy a day will make a small difference for the environment, and seeing how easy it is to use cloth nappies will shake off the fear of switching. Is this your first child? 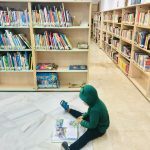 Do you feel like it’s too much of a commitment on top of having to learn just about everything else baby related? Do you prefer to wait till your baby starts weaning and the breastmilk poops are over? Do that. Compromise. Make it easy for yourself. 💡I used disposables for three years, and made the switched only after Emily was 14 months old. Do I wish I started earlier? Yes. Will it anyway make a little difference for the environment and in my mindset? Yes! Now that I know what it’s all about, would I start at birth with a potential third child? Yes. At this point, why not washable wipes? Somebody told me: “Whether you do cloth nappies or not, try and reduce the amount of disposable wipes you use”. It’s right, wipes are terrible for our planet—land, sea and animals. But it is also true that if you make a big effort to switch to cloth nappies, why not go all the way in? 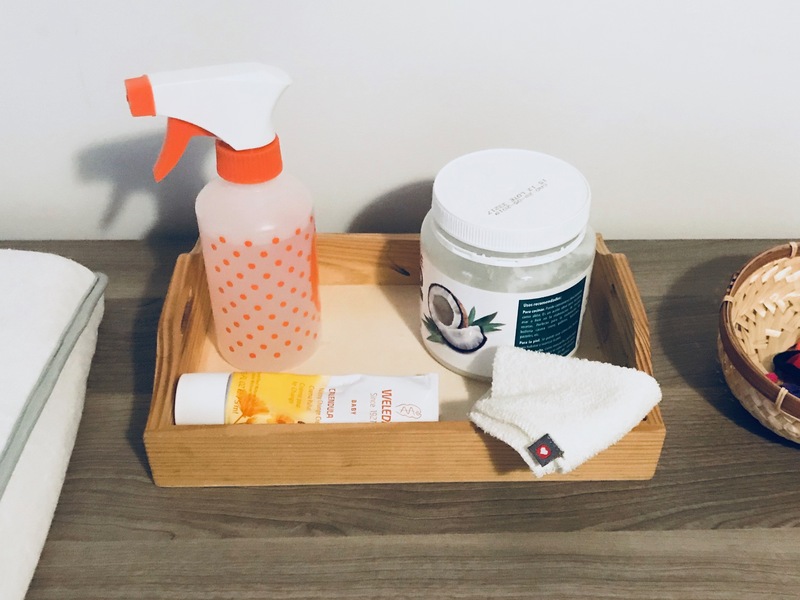 I switched to washable wipes for nappy changes: I didn’t stop using wet wipes, but I’m trying to use them more consciously and I’ve now had the same small pack for about two months. I consider that an environmental success. You’ll find lots of terminology lists online, and I just want to say: you don’t need to know all of this to start using cloth nappies. You really only need to know the basic terminology (but if you want to know all of it, this post will do the trick). Types of nappies: All-in-one / all-in-two / two-part / prefolds / fitted / terry squares are all types of nappies. You’ll read very different opinions online, but for me the easiest types are: 1. all-in-ones (MioSolo), 2. pocket nappies (CharlieBanana, Juicy Bumbles), 3. all-in-twos (PopIns). Accessories: An insert is extra material that you put in the “pocket” of nappies like CharlieBanana and Juicy Bumbles; a booster is an extra material that you can use to increase absorbency; a liner is an optional extra material that you can use close to baby’s skin to catch the poop and keep the bottom dry. Liners can be biodegradable and disposable, you can flush them in toilet (but it’d better not to); or washable, usually made of fleece (which are the ones I use). 🌸 My advice. Start with biodegradable and flushable bamboo liners, you take them and flush them with the poop (even if you shouldn’t, sometimes it’s important to compromise). 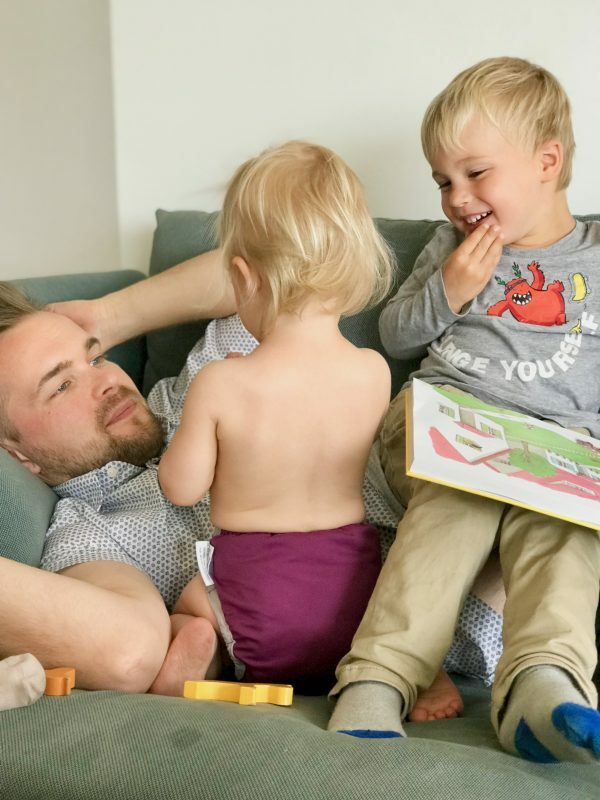 I now personally use and like these washable ones from Little Lamb: they’re thin, easy, the poop doesn’t stick to them, and they make the whole process 100% eco-friendly. Materials: Cotton is thick and absorbent, but it takes long to dry; bamboo is thinner than cotton, more absorbent, and as slow to dry; microfibre is quick to absorb and dry, but doesn’t hold liquid as well as bamboo; charcoal is a type of bamboo, but darker and extra soft; hemp is even more absorbent and slower to dry, and a bit thicker. 🌸 My advice. Pick bamboo, you can’t go wrong and it’s for everybody. It takes longer to dry, but you learn to account for it. In this post I tell you what I like the best about each cloth nappy brand that I use. Cloth nappies: the easy guide for reluctant parents. 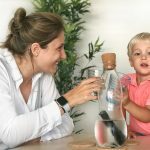 These are some EASY ideas to reduce the use of plastic that you can start implementing TODAY in your life and household.